The subtle flavour of lemon and coriander only adds to the exquisite taste of this very well known dish. 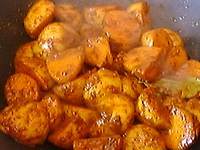 This curry requires 3 hours to marinade but is quick to cook after that. Had your tikka masala at the weekend it was fantastic!